Do you need to change your payment method to a different card or bank account, or remove it from the account altogether? Follow the steps below. Log in on the Kinderlime website with the same username and password that you use in the app. Once logged in, click on "Pay Now" on the righthand side. From there, click on "Change Payment." 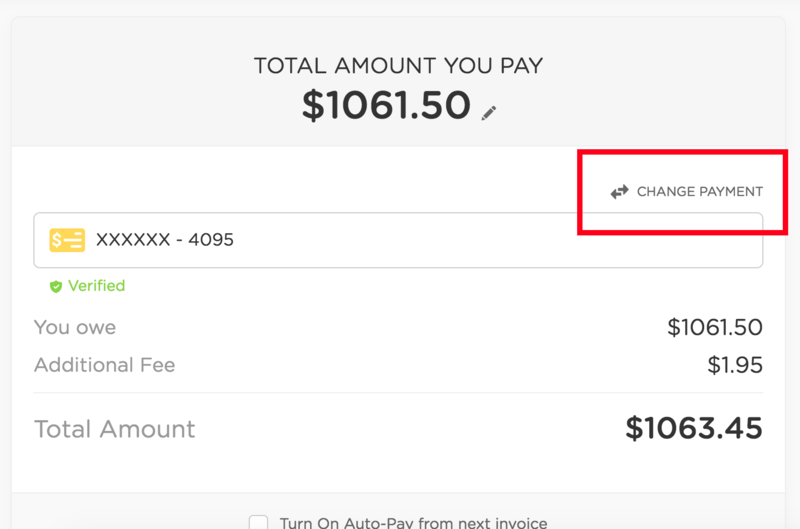 Use the pencil icon to change your payment method or the trash can icon to remove it altogether.